I must be crazy. No, really. I mean it! I am truly depending on my crock pot now more than ever (see previous paragraph). I’m trying to cut down on any “pre cooking” because of my busy schedule. Right now EVERY second in my day counts. 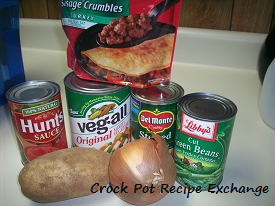 This crock pot tin can vegetable and meat soup is the perfect recipe to fit my schedule, feed my family and warm us up from the inside out. 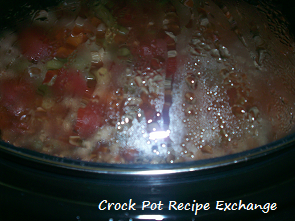 Put all ingredients into a 4 – 5 quart crock pot. 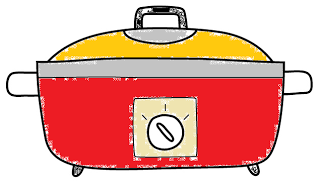 Place lid on and cook on high for 4 hours or low all day while you’re at work, school or getting a spa treatment (I WISH!). 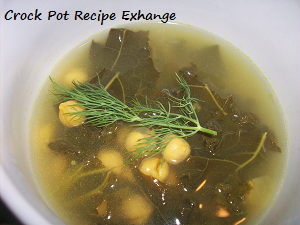 Remove bay leaf and serve in heatproof bowls with crackers or peanut butter and honey sandwiches. NOTE:If you like a thicker soup you can small can of tomato paste and stir it in to incorporate the last hour of cook time. 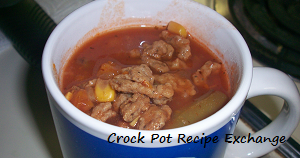 We definitely have this soup several times throughout the winter. It’s so easy I know you’re going to have it on a regular basis during the cold weather months too.